The work of the world's most famous artist could be on your wall as a decoration sticker. A design from our Banksy wall stickers collection! A decorative art decal illustrating 'Girl with a Balloon' with a red heart balloon! A lovely heart wall art symbol too! A famous piece of art by Banksy. A great design from our collection of Banksy wall stickers. If you love his artwork this is for you. A well known piece of art by the mysterious artist. Fantastic silhouette decal that will give your home an artistic atmosphere. 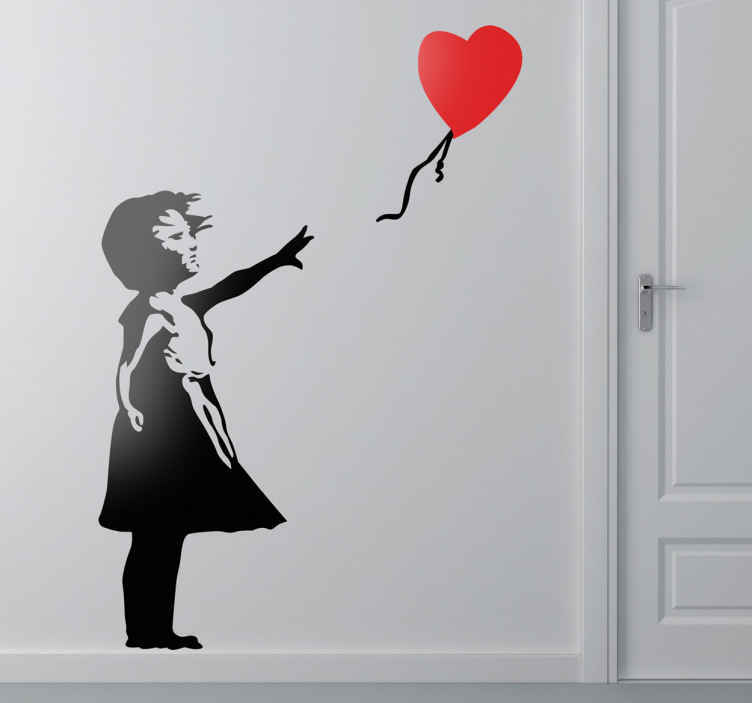 If you love art and are a fan of this urban artist then this Banksy wall decal is for you! Give your home a modern touch and create your own masterpiece!